Start now and be ready for your A-levels! Thinking about final exams makes you nervous? Don’t worry! Join our preparation course and gain the confidence you need to face the Matura. Our LANGUAGE IN USE module helps you understand various grammar-related issues. It also helps you improve your vocabulary skills and make sense of structures for specific tasks, such as multiple choice cloze, open cloze, word formation, matching etc. Our LISTENING module focuses on improving your ability to recognise the information you need to answer different task-types: multiple choice, right/false, sentence completion, matching etc. The third part of the English Matura exam - WRITING - focuses on different content-specific tasks and is therefore divided into part A and part B. Our WRITING module will allow you to confidently select appropriate vocabulary and structures for specific text-types, and to express your opinion in a well-structured and well-argued manner to any set task. The third part of the English Matura exam - READING - focuses on vocabulary and text understanding. It encompasses different types of text, articles, newspapers, fiction, etc. In our READING module you will practice and improve your skills in successfully completing various types of tasks: right/false with explanations, multiple choice, “fill in the gaps”, identify the sentence, comprehension questions etc. "Warum bin ich erst jetzt zu euch gekommen? Drei Stunden und ich habe einen völlig neuen Ein- und Durchblick gewonnen. Vielen Dank!" "Danke! Danke! Danke! 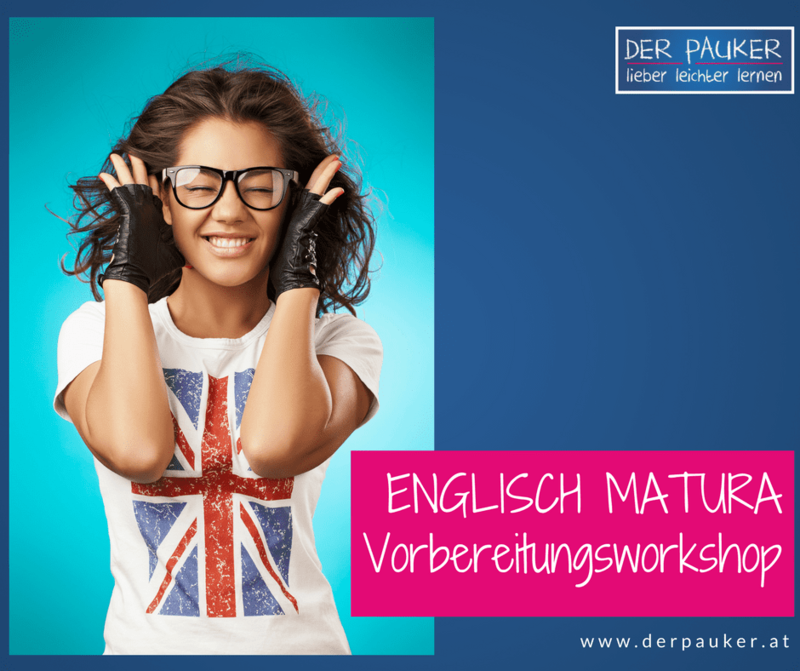 Dieser Workshop erspart mir so viel Eigenarbeit und auch Nachhilfe. Ich werde definitiv auch die anderen Zentralmatura-Workshops besuchen."